With a consistent 'look and feel' LibreOffice increases its public recognition. People remember graphical elements once they have associated them with our product and community. That's what branding is for! 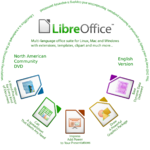 By using the material presented in the galleries linked from this overview you support LibreOffice to be recognized as self-constained and self-confident professional part of the office suite market. The resources linked from here are created in a way that makes it easy to comply with the LibreOffice trademark policy, our logo usage policy and the branding guidelines. In any doubt please have a look at these links. 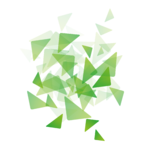 For Artists: If you want to share your own artwork with LibreOffice, feel free to contact the Design Team. You can use your user page to host your graphical ideas. Have a look at Existing Designs too. This page was last edited 12:46:11, 2017-01-25 by Klaus-Jürgen Weghorn. Based on work by Lera Goncharuk and Dennis Roczek and others.